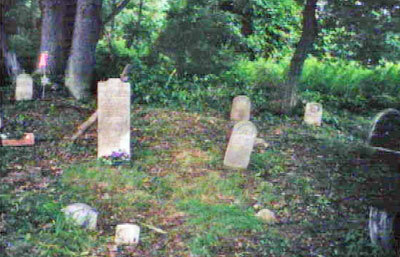 The Reighard Cemetery is on private property off of Mt. Hope road. Traveling east from Mt. Hope Church, near the end of Mt. Hope Road are two houses on the right belonging to Webb and Ellenberger (names on the mailboxes), and a small white house and garage on the left. The cemetery is in a field behind the white house.